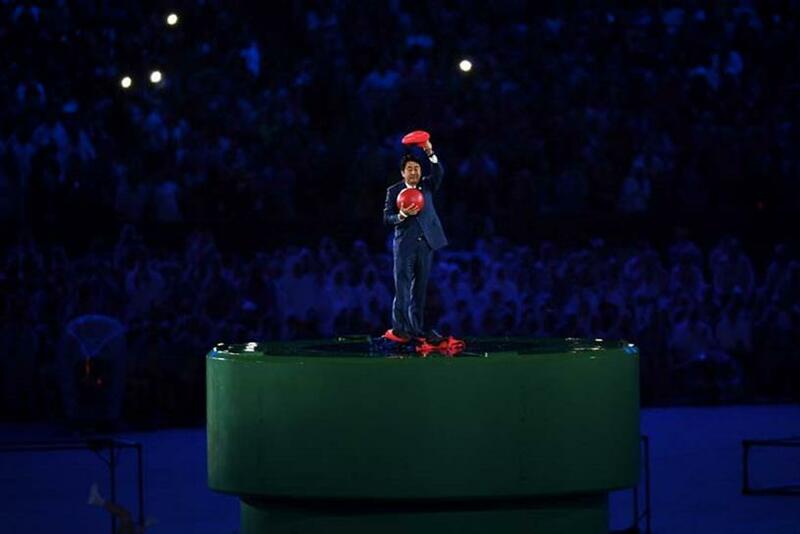 The final medals have been dispersed, the last national anthems played, the torch passed to the next host country. The Games of the XXXI Olympiad in Rio–the good (amazing athletic feats by the likes of Ledecky, Bolt and Phelps, the awesome emergence of Olympic super-commentator Leslie Jones), the bad (NBC tape delays, legions of empty seats, faked athlete robberies), and the ugly (the head of security of held at gunpoint, that green pool that "smelled like farts")–are officially behind us. We won’t be watching a TV broadcast. Ok, when I say "we" I mean "everyone under 40" but still, the trend line on TV viewership is clearly headed downward, to the tune of 15-20% across-the-board and 30% for millennial audiences. And audiences aren’t just moving from TV broadcasts to NBC’s online streams: they’re also experiencing the Olympics in different ways through social, like Snapchat’s Olympics live story, which has drawn almost 50 million viewers since the start of the games. So we may not be sure how people will watch Tokyo 2020, but it seems likely it will be the first Olympics watched by more people on their phones than on TVs. We will be closer to the action. The Olympics have often been a proving ground for new media technology (live broadcast, instant replay) and while the 80+ hours of VR coverage at Rio 2016 were more of a proof of concept, four additional years worth of AR/VR adoption and advances in 360 video capture technology should converge by 2020 to enable next-gen viewing experiences that give viewers around the globe a front row seat. Farewell, Bob Costas. Hello, Leslie Jones. Admittedly, this is a bit of a conflation: while Costas’s Olympic role is more likely to diminish as he makes way for new additions at NBC Sports like Mike Tirico, you can also expect NBC to learn from the success they’ve enjoyed upgrading Leslie Jones from her makeshift apartment command center to on-the-ground reporting and do a better job of putting talent that people under 50 actually want to see on their Olympic broadcast. There will be GIFs. Let’s get this out of the way up front: Rule 40 has no chill. While sporting organizations being hyper-protective of the use of their trademarks and intellectual property is nothing new, the IOC’s restrictions–which encompass everything ranging from semi-generic terms like "go for the gold" to that most common of internet vernacular, GIFs–are notoriously restrictive and out-of-step with today’s cultural and behavioral norms. These restrictions actually detract from the value of the very sponsorships they’re intended to protect by limiting the reach and exposure of the games and its sponsors. At the same time, after years of resistance to anyone other than official sponsors getting close to Olympic athletes, the IOC has started to soften its stance on athlete deals with non-Olympic sponsors. While Rule 40 may not die the fiery death it deserves by 2020, expect the IOC to continue to loosening its grip on how fans and brands alike can participate in the conversation around the Games. Your hosts may be robots. The experience on the ground in Rio did not get a good review on Yelp. Tokyo is hoping machine-learning and automation will help them deliver a much better experience. Japan is working to regulate self-driving taxis and roll them out as soon as 2017, with the goal of a full fleet deployed in Tokyo by 2020. Then there’s the robots: thousands of them, helping Olympic attendees by carrying their luggage, hailing taxis and providing directions. It will set new standards for sustainability. In the face of immense criticism over the massive investments that cities make in building venues for the Olympics that are often underutilized after the Games are gone, the IOC has begun placing increased emphasis on sustainability, and Tokyo is taking that torch and running with it. Boeing is working with organizers to bring algae-fueled planes to market in time to bring visitors to the games and the Japanese government is investing over $300 million in hydrogen energy infrastructure in Tokyo with the goal of having the Olympic Village be entirely hydrogen-powered. We will all speak the same language. Public and private groups in Japan are working overtime to deliver real-time, high-quality machine translation to attendees of the 2020 Games. Couple that with advances in translation in social feeds and 1:1 messaging bots, and we can look forward to sharing the experience of Tokyo 2020 through significantly reduced language barriers. It will be radical. Skateboarding and surfing are coming to Tokyo 2020, and if snowboarding’s meteoric rise in the Winter Olympics are any indication, both sports will quickly become a main attraction. The move is surely intended to increase Olympic appeal with younger audiences. Which almost begs the question, when will eSports get added to the Olympic docket? A new generation of stars will rise. Tokyo 2020 will be the first Olympics of the millennium without Michael Phelps. Odds are Usain Bolt will relinquish his fastest man alive title and Allyson Felix won’t be coming in second as the competition dives across the finish line. Add in new sports like the aforementioned surfing and skateboarding (not to mention baseball and karate) and we can look forward to an almost complete changing of the guard. Except Katie Ledecky. She’s not going anywhere. Fewer pools that "smell like farts." We can dream, can’t we?